The Centre for High Performance Computing’s (CHPC) newly-launched petascale machine, Lengau (Setswana for Cheetah), received international recognition this week by being placed 121st on the computing TOP500 List at the International Supercomputing Conference in Frankfurt, Germany. The CHPC is an initiative of the Department of Science and Technology and is managed by the CSIR. Lengau was recently unveiled in Cape Town. The TOP500 List ranks the computers according to their performance on the LINPACK benchmark (The LINPACK Benchmarks measure a system's floating point computing power. Introduced by Jack Dongarra, they measure how fast a computer solves a dense n by n system of linear equations, which is a common task in science and engineering). With over 24 000 cores, the machine is the fastest computer on the African continent owing to its speed of roughly one petaflop (1000 teraflops) which is 15 times faster than the previous system named Tsessebe (Setswana for Antelope). South Africa last entered the Top500 List following an upgrade of Tsessebe in 2013 and featured at position 311. Tsessebe ran at 64.44 teraflops. Lengau puts the country in the company of leading supercomputing nations. It is the only system in Africa featuring on the TOP500 List and it is the second fastest supercomputer in the southern hemisphere, a demonstration of South Africa’s commitment to ensuring world-class services to its research community and industry. 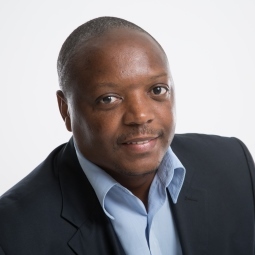 "This prestigious international accolade demonstrates that Africa's first petascale supercomputer is ready to accelerate applications that run on it, a boost for Africa's research and industrial competitiveness," said Dr Happy Sithole, Director: CHPC.